Our relationship with our customers begins long before each sale is made (getting to know each individual company’s requirements, expectations and plans for growth) and extends long after our equipment is installed. 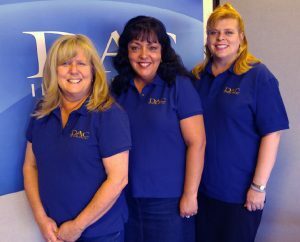 Now 31 years at DAC, Juana Sanchez (Customer Services Manager) is devoted to ensuring that each customer’s needs are correctly specified and that orders are fulfilled quickly and accurately. Juana adds: “It is extremely important to me that we provide exceptional customer service, and that every request is treated with the same amount of urgency, building trust and maintaining a reliable relationship. I take great pride in the knowledge I have gained on our equipment during the many years working here at DAC International and providing the best possible outcome for the client. A determination to provide reliable information comes from the support of my colleagues by working closely with them in keeping me up to-date and fully informed on all essential details of our equipment”. Supporting Juana in this effort are her two dedicated assistants, Fabiana Hester (Customer Service Administrator) with 10 years DAC experience and Mary Reynolds (Customer Service Assistant) who joined the team last Spring. Identifying the particular equipment and software that will work best for each customer’s specific situation is of foremost importance, often requiring understanding of the customer’s current equipment and software. The Customer Service team accomplishes this through the maintenance of detailed records, as well as interfacing and coordinating with members of our Sales, Engineering, Production, Applications, and Service Departments. Fabiana noted: “Being a part of the customer service team and taking a lead in specific aspects of this department, involves detailed research and involvement in the recording of our customer’s equipment even before it leaves the factory. 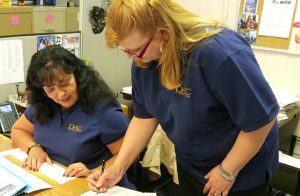 Working closely with my colleagues and the extended DAC staff, I see the unlimited possibilities the DAC team continues to develop, accommodating customer requirements that meet their specific and most often, unique applications. Ensuring our customer equipment is documented in detail and processed accurately is an undertaking I take most earnestly. This documentation is a valuable recourse whenever a client’s requirements change or the client is in need of further information to assist with their decision making processes”. DAC equipment incorporates a significant number of options and we want our customers to make the most of that. Monitoring the status of a client’s order and keeping them informed of progress is the personal touch we like to adopt whether the support effort is a matter of urgency or planned…every customer is important to us. Mary pointed out: “Although new to the customer service team, it has already been a developing education in all aspects of the department operations, beginning with an understanding of the manufacturing of DAC’s equipment. Having been assigned to a couple of established clientele requiring planned service on existing machines, has helped me to gain a better understanding of how DAC’s products and services are used and applied. Taking a lead from Juana and Fabiana, has been a huge asset in my learning-curve of the lens machine world, as I take the challenge to heart and aspire to excel and deliver exceptional service to the customers. Pulling together as a team and working with the various internal departments to facilitate customer satisfaction in keeping their investment in DAC products fully functional, is very gratifying”. Each member of the Customer Service team is fully acquainted with the many methods available for shipment of everything from small replacement parts to one-ton machines, as well as the complex documentation that is often required for international shipments. Together, Juana, Fabiana and Mary are responsible for generating quotations for new machines, machine upgrades, replacement parts, repairs, and field service, and for processing and monitoring all customer orders, with personal pride. Their dedication and commitment to their roles are testament to what contributes to making Customer Service another reason that makes DAC ‘your lens technology partner’. Click here for the PDF of the original press release.